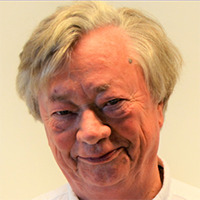 Professor Jaap E. Doek was a member of The African Child Policy Forum’s (ACPF) International Board of Trustees from 2003 to2016). He was a member of the United Nations Committee on the Rights of the Child from 1999 to 2007 chairing the Committee from 2001 to 2007. He has been an Emeritus Professor of Family and Juvenile Law at the Vrije Universiteit in Amsterdam, The Netherlands, since 2004. He was a Juvenile Court Judge in the District Court of Alkmaar and The Hague from 1978 to 1985 and is currently a Deputy Judge in the Court of Appeal of Amsterdam. Since December 2006, he has been the Chairperson of the Board of Aflatoun Child Savings International– an Amsterdam-based international nongovenrmentalorganisation (NGO) promoting social and financial education for children, a member of the Advisory Committee of the Innocenti Research Centre of the United Nations Children’s Fund (UNICEF) in Florence, Italy. He is also a member of the Expert Committee for the selection of candidates for the Annual Children’s Peace Prize (an initiative of Kids Rights, in The Netherlands). On November 6, 2012, Professor Jaap E. Doek was awarded the Juvenile Justice without Borders’ International Award in recognition of his steady commitment and involvement in promoting a better situation and treatment of children and youth in conflict with the law.